You might have a bad moment, but you aren’t going to have a bad day. It is something you can be proud of when you accomplish it. 1. 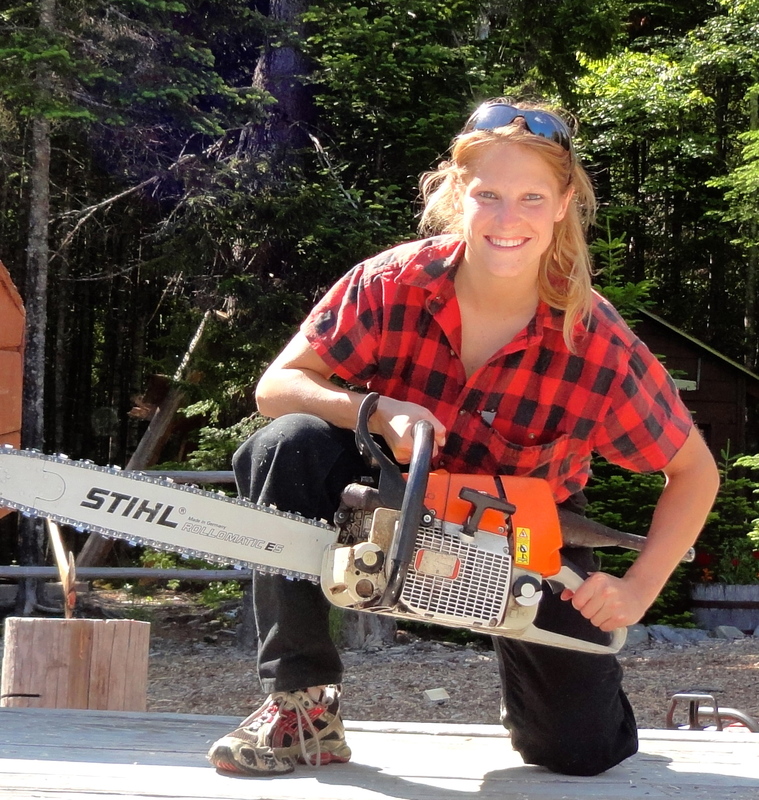 What led you to the mission of being a lumberjill? 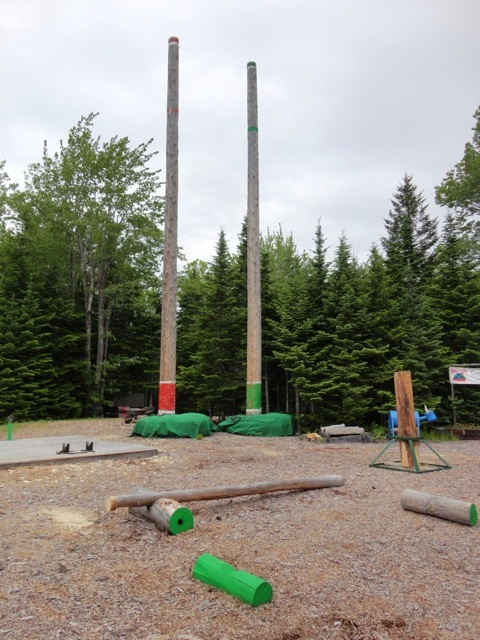 I started learning about lumberjack competition as a college student at Unity College. Some of my best friends started doing it. They tried to get me to go with them, but being from Nebraska I had never heard of this before. I was a little “iffy”! I wasn’t sure about going to the practices. 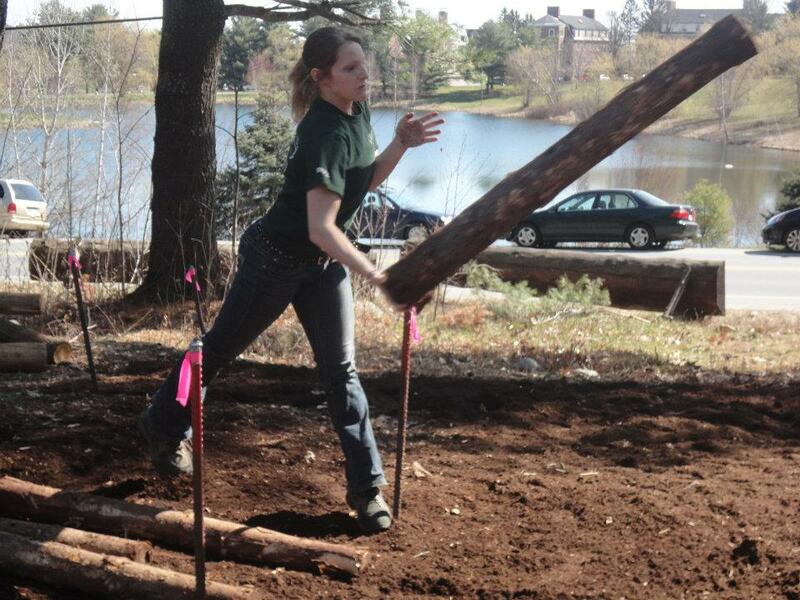 Since I was already playing soccer and hockey for the school, I really didn’t think I had time for being a lumberjill. I was president of the hockey club. I was doing other clubs. Finally my junior year, they finally convinced me to try it. I went and just fell in love with being a lumberjill. 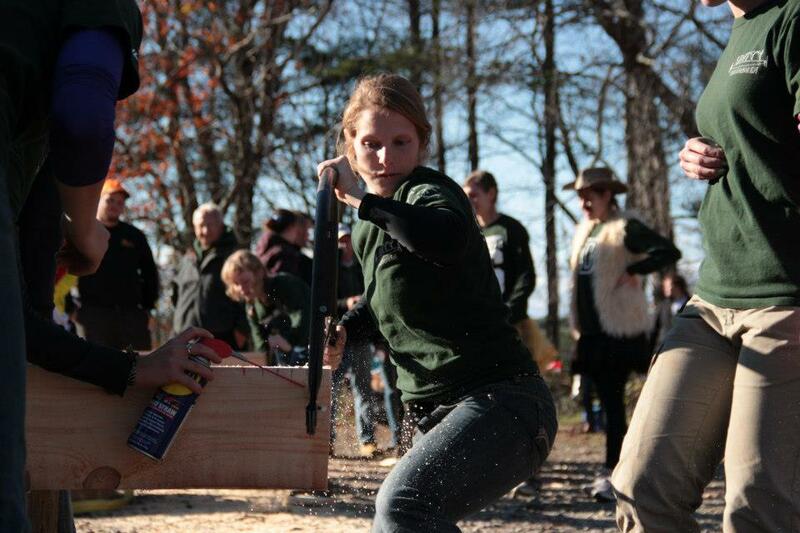 In college you don’t call us lumberjills, you call it the woodsmen team. 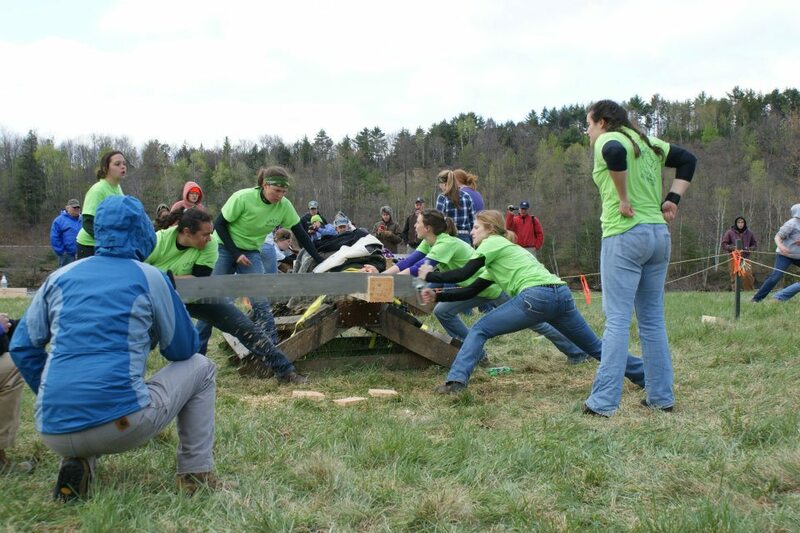 At Unity College it is called the Unity College Woodsmen team and it includes both men’s and women’s divisions. It is a lot of fun for me! It is something that relaxes me. It is also something that I feel very strong and independent at doing. It takes athleticism to be able to do this. It is something that you can be proud of when you accomplish it. 3. 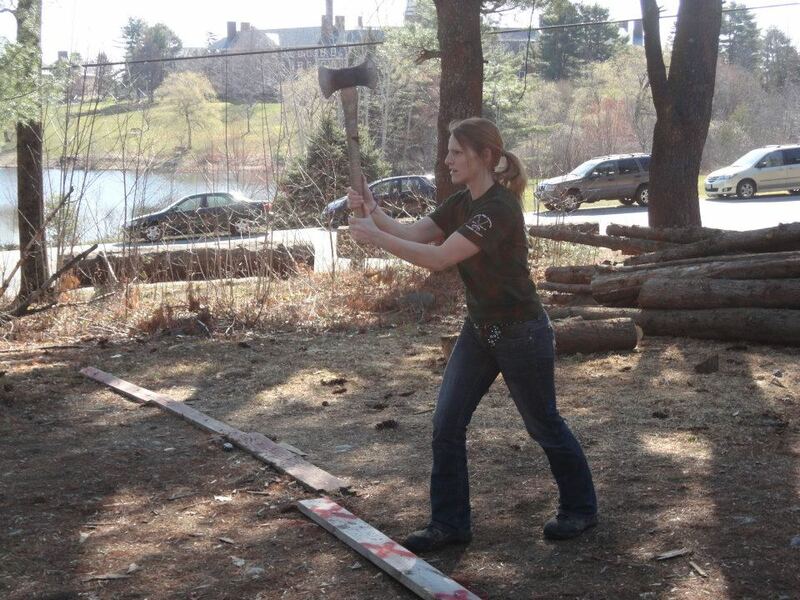 What was your best day as a lumberjill? 4. 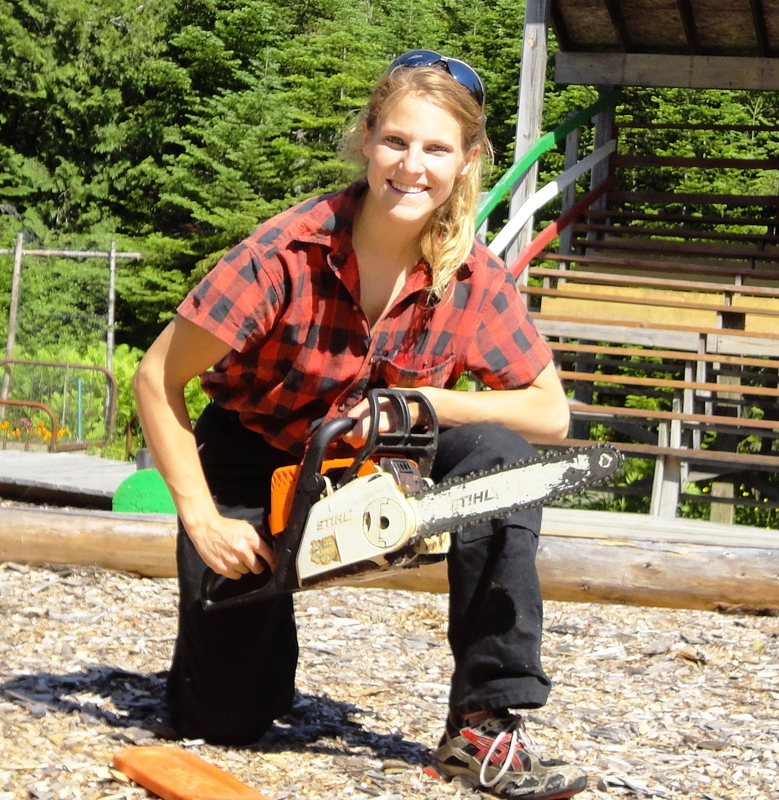 What was your worst day as a lumberjill? I did my first standing block chop and the single buck for the first time that day. It was so cold and I was the first one to go on single buck. I didn’t event know how to do it. I can’t event describe how awful it was! I said, “Oh gosh, I was SO BAD!” But the team knew I had never done this before and they said, “You’ll get better at it, you know! Don’t look back at the past, look to the future.” It was an awful experience for me. 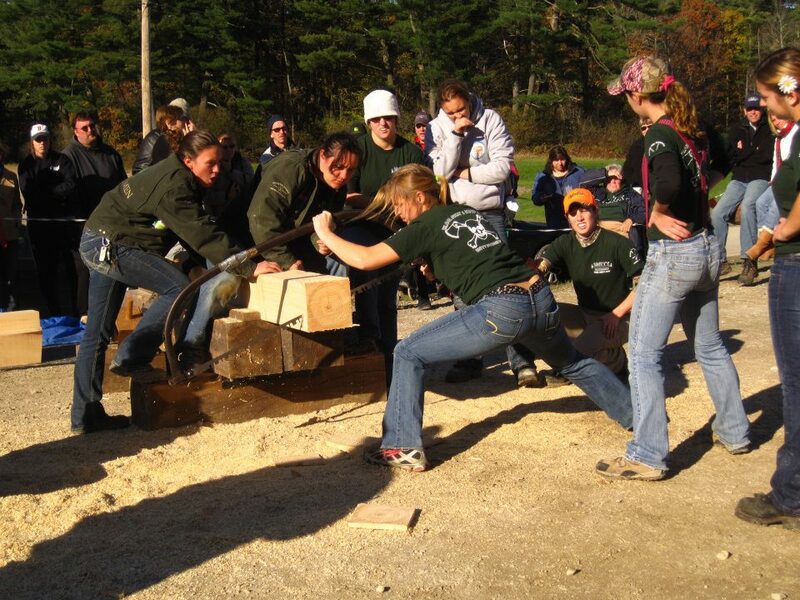 The good thing about the competitions and being a lumberjill at the shows is that it’s not just one event. It’s a lot of events. Even if you had a bad chop with a partner, there are still other competitions all day. You get to log roll as a team, run a pack board race, and many other events. Really, as long as you are putting your heart out there, you can achieve your goals. There is a strong team out there to prove yourself to and the team has to prove themselves back to you. Everyone has to do their share – even if you have a bad moment. You might have a bad moment, but you aren’t going to have a bad day. I like to be strong and optimistic. A big portion of me is that I have been on a lot of teams throughout my life. 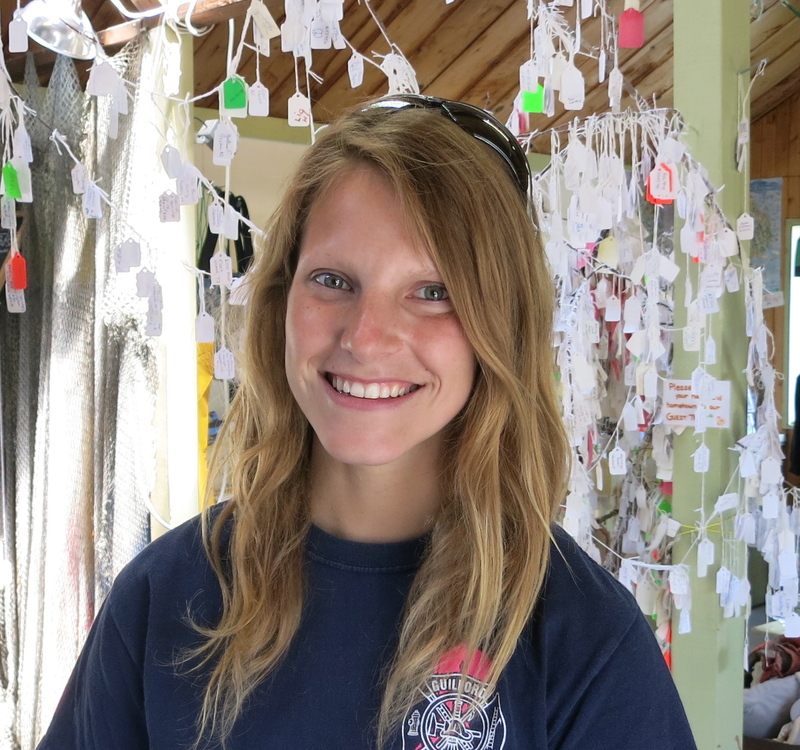 I was the captain of my college soccer team. You come to realize that people look up to you and depend on you. So if you let one bad moment affect you, it is going to affect them as well. That’s what helps me not let myself get down when I have a bad moment. 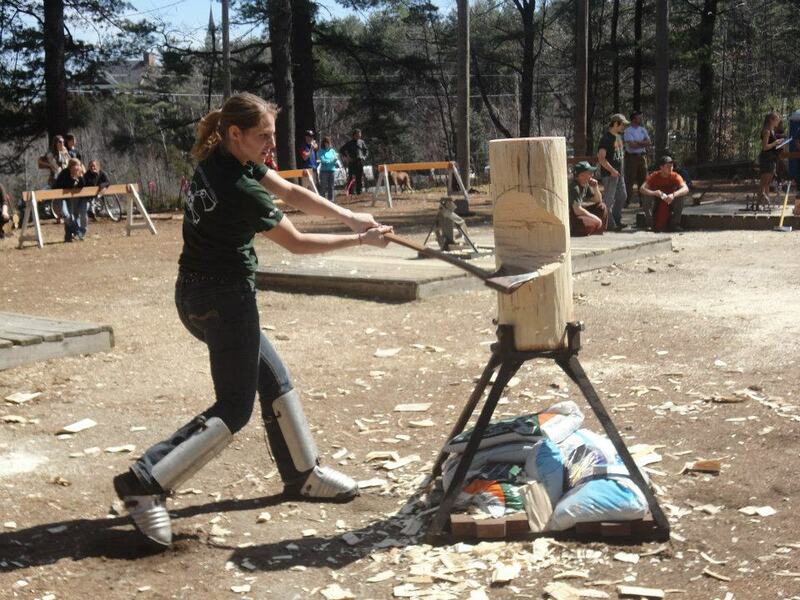 All the axes and the saws may look scary, but the sport is exhilarating and I’m so grateful I was able to join the woodsmen team and become a lumberjill. Don’t be afraid to try.